Despite the correlation between volunteering, improved workplace performance, and employee wellbeing; the survey also raised concerns. Nearly two-thirds (62%) said they found it difficult to balance volunteering and work commitments, and nearly one-third (32%) of full-time workers said they aren’t comfortable asking their employer for more flexibility to support their volunteering activity. 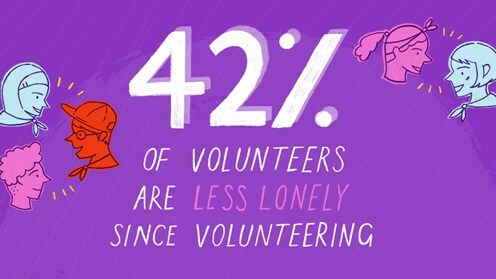 UK Chief Commissioner Tim Kidd said, ‘I’m acutely aware of the importance of the millions of volunteers in the UK who give up their time every single day to help others. With the majority of volunteers saying they feel more motivated, confident and more skilled as a result of the work they do with us, it’s not just those they’re helping who benefit. Despite these challenges, we now have more adult volunteers in Scouting than ever before. Our annual census results show the number of adults volunteering at Scouts has grown by 9,371 over the last year. We have also welcomed another 10,699 youth members. These increases mean we now have 638,827 members in the UK. We have grown for the 13th year in a row; the longest period of sustained growth we has experienced since the 1930’s. Wondered how to build a Scout Rope Bridge – 2nd Ifield Scout Group show the way!